FOR years Harry Kewell captivated audiences with his sublime touches and predatory-like instincts in front of goal, but come October 11 the former Socceroos star is set to score arguably his greatest goal when he is inducted into Sport Australia's Hall of Fame. Kewell will become the first footballer to be inducted into the Sport Australia Hall of Fame in 22 years, joining Peter Wilson (1985), Ray Baartz (1985), John Warren OAM MBE (1986), Joe Marston MBE (1988) and Alfred Quill (1996). "As a footballer, sometimes we are recognised with team awards because it's a team sport, but if you get the opportunity to receive an award as an individual it's something really special to me because it's not just looking at one result, it's looking at the whole picture, a whole season or your whole career." Saturday's announcement coincided with Kewell's 40th birthday, and it was a time for reflection for the former Leeds United and Liverpool striker. Close to his heart was Australia's memorable 2-2 World Cup draw against powerhouses Croatia, which enabled the Socceroos to progress to the knockout stages of the 2006 showpiece. "It was a great moment in Australian football history," Kewell reminisced. "Every kid dreams of playing in a World Cup, and for me to be able just to do that first and foremost was huge. "To be able to start in a game where we were confident and we felt good enough to win, and to be able to score that goal to put us through to the next round was one of my proudest moments." That goal came in the 79th minute of the all-important 2006 clash against the Croats when he latched on to a cross from the opposite end of the field and rifled it into the back of the net. It sent Australia to the next stage of a World Cup for the first time and remains one of the most poignant moments of Australian sporting history. In a glittering football career, hampered only by injury in the latter stages, Kewell scored 91 goals in 381 club appearances and captained the Socceroos among his 56 national caps. He featured in two World Cups. 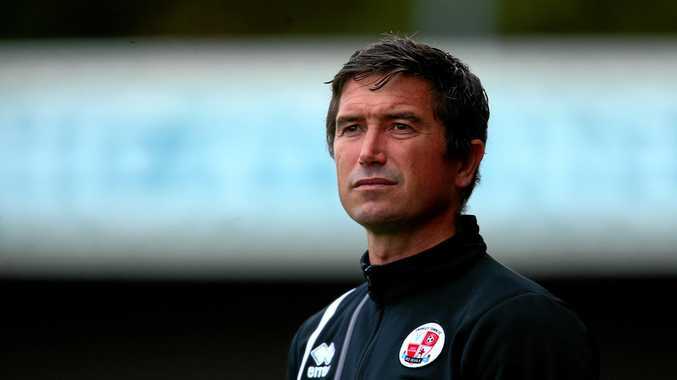 Kewell manages Notts County in England's League Two.